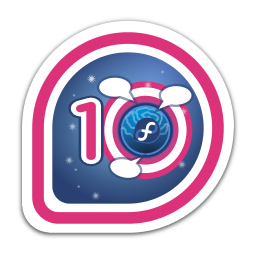 You posted 10 or more things to the Fedora Planet! 1.0% of people have earned this badge. First earned by gomix on 2013-08-07. Last awarded to cdamian on 2019-02-08.
comzeradd gomix paulmellors pingou kevin dwalsh remi vincentvdk gadgetwisdom rjones mfojtik ankursinha fab vinz oddshocks slaanesh adamwill mjg59 eischmann fantom rbhalera mythcat duffy luya schaiba jondkent liquidat firemanxbr cicku nicubunu spot rishi rrix pocock sgallagh kushal fabiand hvivani tatica themonteiro kashyapc gnokii rhughes davej adrian csmart alexove sparks thunderbirdtr mcpierce mclasen admiyo hrw ryanlerch mhayden tuxdna jamielinux limb ardian axilleas renich ralph codeblock skytux lovenemesis uraeus spstarr kparal pgordon mavjs aeperezt yograterol pravins smooge wolnei potty alexl fitzsim kdaniel ausil jens fhornain affix rtnpro harald huzaifas roshi markmc caolanm chuck constanton rossdylan skore hadess alexissolanas lzap sentabi cleitonlima atodorov yn1v fleite dbmacartney williamjmorenor jzb xiphmont pbrobinson purpleidea whot rdieter admin toshio ajax aacosta jmlevick jstanley dodji mso valent olea callkalpa ekoikhyar rharrison wwoods red palazzot dbhole msuchy herlo bkearney echevemaster james ueno jcampos wtogami fujiwara mmorsi jwboyer sankarshan dchen rvokal mahrud deepsa jbwillia nkumar sergiodj atorkhov veillard twaugh devos ... and 411 other people.